I am a coffee lover. 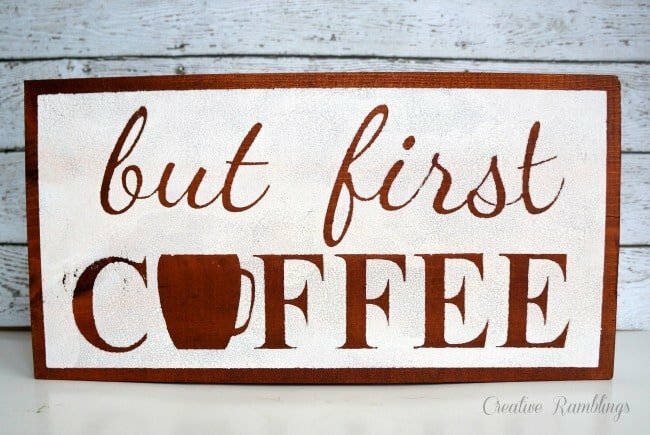 I’m especially partial to a fresh brewed cup first thing in the morning. I can function without coffee, but I would rather not. 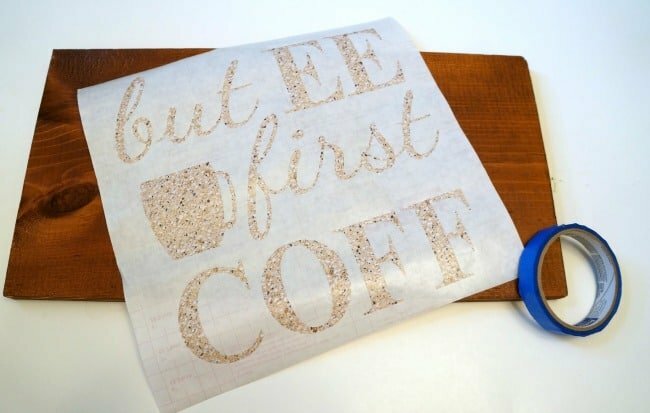 Getting the family ready and out the door is just easier after a cup of coffee. I have a little coffee station in my kitchen with all our essentials, including this upcycled coffee mug holder. 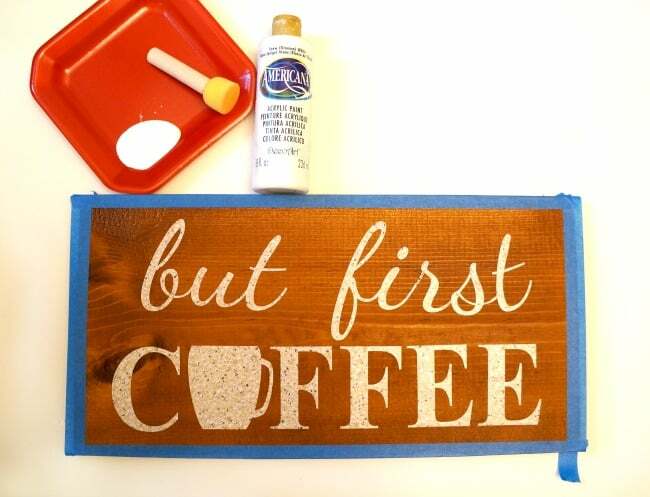 This past week I made another wood coffee sign for my kitchen that sums up exactly how I feel about coffee. I typically make my coffee in a regular old pot. I have tried a Keurig but wasn’t a huge fan of the waste or the process. Last month, on a whim, I bought a pour over brewer. This simple little tool paired with a cone filter makes the most amazing cup of coffee! I am not a coffee snob and didn’t think I’d be interested in something like this but Wow, seriously this little cone is so worth the $5 and few minutes it takes to make a cup. If you love, or even just like, coffee. Or if you want to try and break your coffee shop habit give this tool a try. 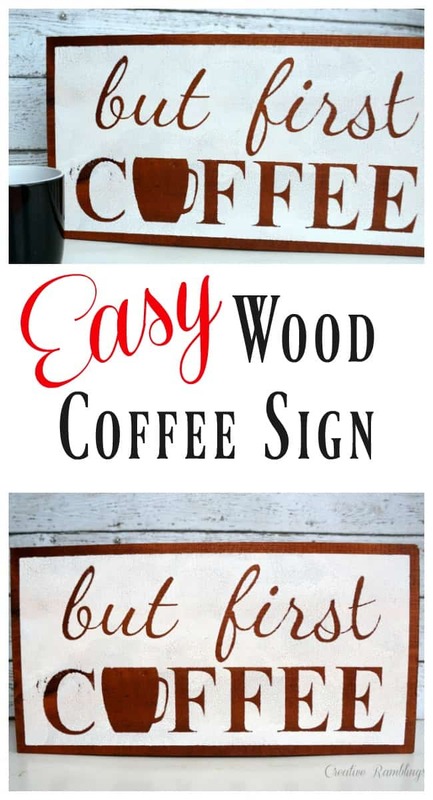 On to the wood coffee sign! I made this sign using my Silhouette and a few other materials. I started with a 1×10 board and cut an 18″ piece. I stained it using a dark saddle color and let it dry for just over 24 hours. 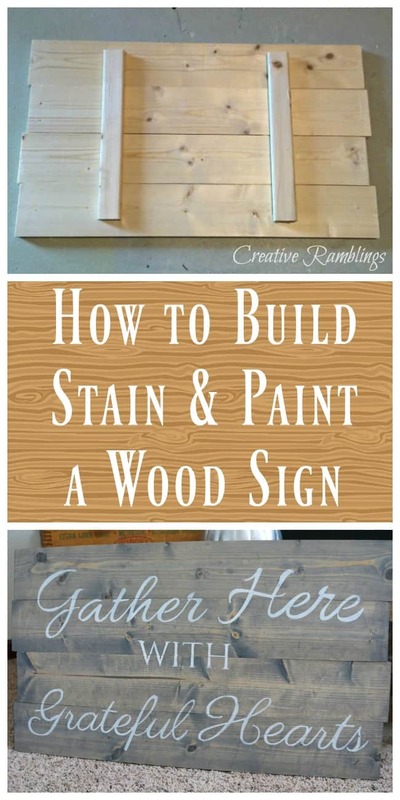 I find my stencils and paint adhere much better when the stain is completely dry. I designed my sign using Silhouette software. I laid everything out on my computer then cut it out of ConTact paper. I love using this for stencils, it sticks nicely and peels off easily leaving crisp lines. I laid out my stencil on the wood then added a border using painters tape. Then I used white craft paint and a sponge brush to finish this sign. 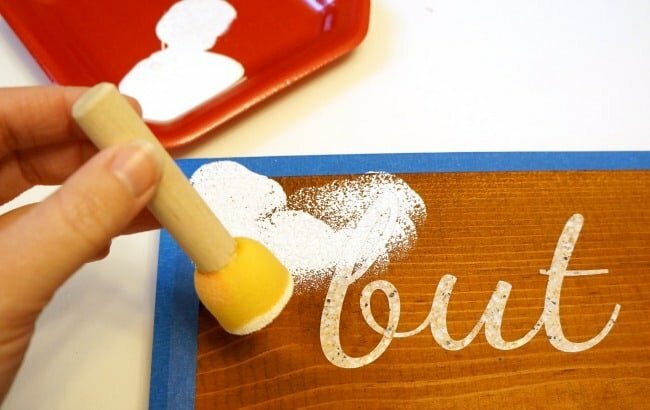 When using a sponge brush I use very little paint and an up and down motion so the paint does not bleed under the stencil. Once the sign is fully painted I let it set for a few minutes then remove the stencil and let it fully dry. This sign is going up in my kitchen near the coffee station. I love what it adds to the room and how perfectly it sums up my love for coffee.